‘The Gradual Disappearance of Jane Ashland’, the first novel by Norwegian author Nicolai Houm to be published in English, is far and away the most intriguing suspense novel I have read this year. And it isn’t a crime novel by any stretch of the imagination nor, in canonical terms, a thriller. Yet is simply exudes suspense, that ‘state or feeling of excited or anxious uncertainty about what may happen’ (to quote the OED). Specifically, about what has happened, is happening and will happen to the novel’s eponymous protagonist, US writer and academic Jane Ashland, a woman in her early forties whose sense of self is drifting untethered, after her family – her whole world – is suddenly, tragically destroyed. It is a chilling novel about bereavement and loss of identity, their combined burden in turn fostering in Jane an urge, only a tug at first, then an overriding impulse, to up sticks and leave, with only a vague destination and an even vaguer purpose in mind. It is also a novel about the unfathomable depths of the human mind, about how little we can know about ourselves, especially after the markers which denote our own position in the world have been removed, turning our existence into a contourless nothingness akin to the all-white wall of snow and fog and cloud which hems Jane Ashland in on her way to her own disappearance in the Norwegian wilds. At the start of the novel, Jane Ashland leaves her previous life behind and flies to Norway, to meet a family of distant relatives she traced after looking up an ancestry-search website. She is very much in the dark about herself though, even though she barely realises it, and certainly won’t admit it, least of all to herself. She was plunged into that darkness by events which the reader, left virtually as much in the dark as Jane herself, will discover only gradually. Houm does a skilful job of drip-feeding information about Jane to his readers, keeping them on a very tight need-to-know leash. The effect is clever and unsettling. We read on, trying to piece together the pieces of the puzzle, stumbling half-blindly like Jane, as she tries to fit together again the pieces of her own identity, which her tragic loss has blown to smithereens. Houm plays a clever authorial game. He doesn’t reveal early on what happened to Jane to make her virtually lose her sanity, as it would skew the readers’ perception of her situation. He doesn’t allow Jane to face up to what is happening to herself – for example why she is incapable of dealing with the elementary dynamics of her relationship with the Norwegian family which briefly hosts her – as it would entail her having a clarity of purpose she absolutely doesn’t have. And, crucially for Houm’s wicked game of false mirrors, as it would perhaps provide clues to what will happen to her as she sets off on the trail of musk oxen in a national park in northern Norway. A journey so improbable, with so improbable a companion, Ulf, a Norwegian zoologist with an inflated ego, whom Jane meets quite by chance first on the plane to Oslo and then out in the Norwegian countryside, that every step of it is laden with uncertainty about where and how Jane will end up. An uncertainty which Houm interlaces with the suspense permeating the other main strand of the narrative, starting from Jane’s meeting with her college boyfriend and future husband Greg, and moving on to their becoming a family and having a daughter, Julie. A straightforward tale of courtship, marriage and parenthood, yet one over which looms the huge, unspoken, terrifying threat of an impending disaster, whose scale the reader can only guess at. 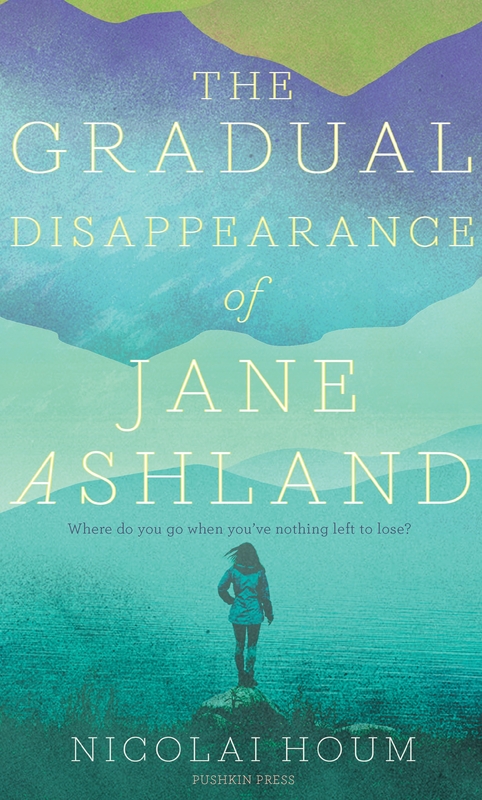 Reading ‘The Gradual Disappearance of Jane Ashland’ is like taking incremental doses of a drug without realising it’s addictive. A small dose at first, then another, and another, each bigger and more laced with uncertainty and suspense, until we realise we simply cannot stop taking it. And we simply need to keep reading this stunning novel to its end. 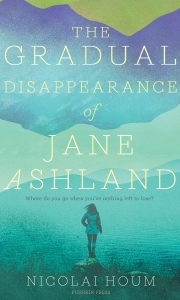 ‘The Gradual Disappearance of Jane Ashland’ is a virtuoso performance in ensnaring the reader, and in plunging them into darkly different worlds, each of them a surprising discovery: from Norway’s untamed countryside, with its woods and peaks and forbidding climate, to the equally uncharted and no less dramatic landscape of tragic, unforgettable Jane Ashland’s mind.